Sam Stosur plays No.2 seed Caroline Wozniacki on Ashe while Nick Kyrgios faces Radu Albot under lights at the new Armstrong stadium. 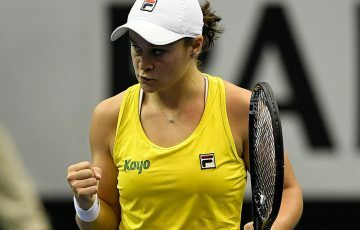 Seven Aussies will take to the courts at Flushing Meadows on Tuesday for their first-round matches. Here is a look at who they play and how the match-ups might unfold. Tough opener for Stosur, but she does return to the court where she enjoyed the high point of her career – winning the US Open in 2011 with a stunning victory over Serena Williams. 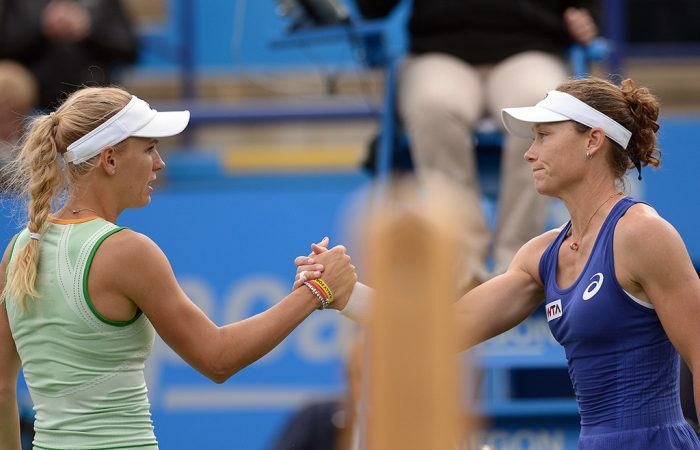 Wozniacki and Stosur have met 12 times, with the Dane leading the head-to-head series 7-5. 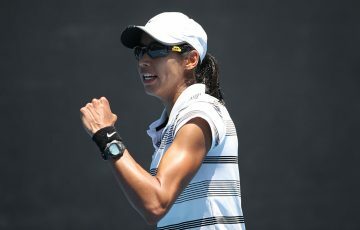 She’s won three of the last four, while Stosur hasn’t defeated her in a completed match in almost four years. 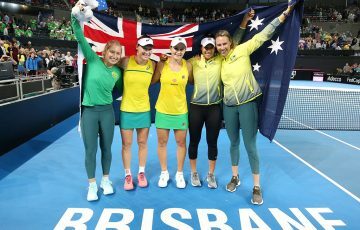 Yet the Australian has nothing to lose – she didn’t play in New York last year, thus no points to defend – while Wozniacki suffered an injury-affected lead-up, forced to pull out of her Cincinnati opener with left knee injury after losing her only other US hard-court match against Aryna Sabalenka. Kyrgios is the highest ranked of the Aussies in action on Tuesday and opens his campaign against Moldova’s Radu Albot, ranked No.95. Albot played just one hard-court tournament in the build-up to Flushing Meadows, qualifying for the main draw in Winston Salem. Kyrgios, meanwhile, played three events – Atlanta, Toronto and Cincinnati – but struggled phyically at all of them. While the US Open has never been his happiest hunting ground, the quick cement courts should reward his big serve, power and attacking instincts. 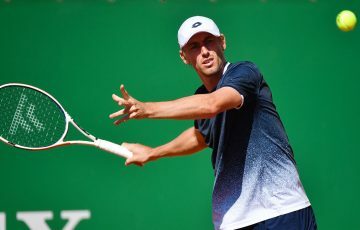 Daniel may be the more experienced as a player six years older than De Minaur, but it’s the Aussie ranked higher; he’s 45th, 19 spots above Daniel at No.64. 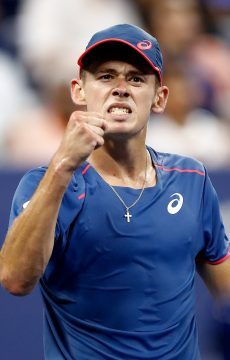 Both players enjoyed a strong lead-in to the US Open, with De Minaur advancing to the biggest final of his career in Washington DC while Daniel reached the semifinals last week in Winston Salem. It will be their first meeting. Little is known of the American wildcard, a 17-year-old ranked No.1229 who is contesting his first ever Grand Slam event. He got into the main draw after winning the USTA’s Boys’ 18 National Championships. Yet Millman, ever the professional, will not be taking the local lightly. The Queenslander has enjoyed some impressive milestones this year, cracking the top 50 for the first time in late July. He’s currently ranked 55th, having lost both his US hard-court matches in Cincinnati and Winston Salem. Last year he reached the third round in New York. 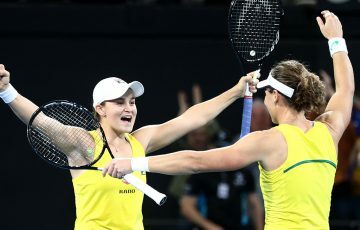 This all-Aussie affair is between two players who used to train alongside one another when Tomljanovic was based in Queensland. 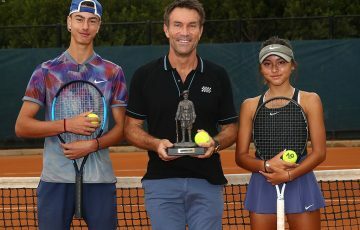 “When Ajla was practising in Brisbane a couple of years ago, we practised a bit here and there but I haven’t seen her so much recently,” admitted Cabrera, who secured her place in the main draw after winning the Australian women’s wildcard play-off in New Haven. Tomljanovic, meanwhile, is producing the kind of form that took her into the top 50 back in 2015; in recent weeks she made the quarterfinals in San Jose and won three matches in Cincinnati before pushing world No.1 Simona Halep to three tight sets. 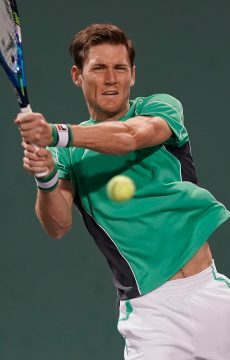 Enjoying career best form, Matt Ebden has a chance to notch another scalp when he faces 32nd seed Krajinovic for the first time. Ebden beat top-10 star David Goffin at Wimbledon en route to the third round – his best major performance – and he enjoys this time of the year, having advanced to the semifinals in Atlanta a few weeks ago. Krajinovic, meanwhile, won just one match during his US Open summer hard-court swing.